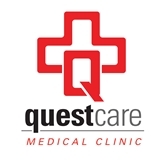 Questcare Medical Clinic (Burleson) - Book Appointment Online! An exceptional clinic providing comprehensive primary care services with same day access with x-ray, labs and urgent services on-site. Accepting new patients of all ages and all major insurance plans! We look forward to caring for you and your family! Family Medicine Doctors and Internal Medicine doctors proudly serving the entire Dallas - Fort Worth area. Doc is great. Office staff is incompetent. -billing incorrect every single time -calling in for RX takes days and then it is wrong -lack of follow up on referrals. . . have to call and pester them. Shilloy is absolutely incredible! She is so helpful and genuinely listens to your concerns, also helping you create a solution. Not to mention she is so sweet! Great staff, from the front desk to the labs and the doctor. Dr. Wix was engaged, concerned, and extremely helpful with the issues I presented to him. I would definitely recommend the clinic! Terri is always thorough and professional when I see her. I appreciate her taking the time to really understand my concerns and answering my questions. Extremely educational and personal about my test results, and my choices of treatment. Came away with new knowledge concerning different medications, and outcomes of such medications. He’s so good I travel 30-45 minutes to still see him! Pleasant experience. Fast, prompt and attentive. Everyone in the office was friendly and helpful.